QualitySolicitors Parkinson Wright is part of a national network of law firms with offices in Worcester, Droitwich, Evesham and St Johns. Our Solicitors provide expert legal advice to individuals and businesses local to Worcestershire and nationwide. At the heart of everything we do, is excellent customer service. We are the only Solicitors in Worcestershire to have an Estate Agents. The Estate Agents have offices in St Johns and Worcester. We give professional, expert and cost effective advice. 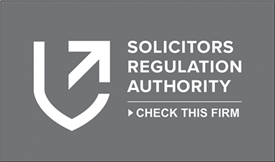 QualitySolicitors Parkinson Wright will achieve the best possible result for you by combining specialist individuals with a considerate attitude. You can have complete confidence in us. We're a friendly and approachable law firm so you'll always be put in touch with your lawyer directly. Find out if we can help you for free, using our Free Initial Assessment. Nobody likes surprise bills, that's why we are upfront with our costs. You want your issue dealt with quickly & efficiently, that's why we acknowledge your enquiry the same day and let you know when you will get a more detailed reply. Appointments outside business hours are available by arrangement. I just wanted to send you an email to say a HUGE thank you for all your assistance and support. When I first came to see you I was terrified, it had taken me a lot of time and courage to come and see someone about my circumstances and I'm so glad it was you. You gave me all the information I needed in a sympathetic and clear manner and you gave me the time I needed to make my decisions. “I would just repeat our thanks to you and your team for all the help you gave us in selling my late Aunt's bungalow. Your understanding of the reason we were dealing with the sale and our problem of living some 200 miles away was appreciated. Our Client has been singing your praises, she will definitely recommend you and is very pleased that we recommended her to you. I was impressed by the quiet and friendly efficiency of your office and the fact that someone was always available by phone, email or in person to talk over any issue. These were always explained clearly, with little jargon and with great sensitivity. It is quite an art to retain the sense of 'family solicitor' with all the expertise and resourses of a major company, but PW have achieved this. Thank you again. Thank you so much for everything that you have done for us. It has meant so much knowing that you were 'fighting' for us and ringing so many people. Firstly we would like to wish you and your team a Happy New Year, secondly we cannot thank you enough for your fantastic support on making the sale and purchase of our properties stress free and we will not hesitate to recommend your services to friends and family. Once again, I wish to thank you for your due diligence as you handled the minefield that surrounded our matter. You and your company do excellent work and we are very grateful for your services. I would also add that everyone who works with you and has been in contact to myself has been immensely helpful and courteous at all times. Please make sure that our sincere thanks are passed along the line. Thank you for all the work you have done in relation to my house purchase, I received a great service from you and your colleagues and would highly recommend you to others. I am really enjoying being in my new home. On the 8th April 2019, the government announced plans to introduce no-fault divorce in England & Wales, which has been long awaited and encouraged by the majority of the judiciary, family mediators and family lawyers. Although this is little consolation for Mrs Owens, her case in the Supreme Court may have finally opened the door for future wives and husbands to obtain a ‘no fault’ divorce. The media and publicity surrounding the case of Mr and Mrs Owens has brought divorce reform to the forefront of the Government’s attention and it looks like ‘no fault’ divorces may once again be on the cards.